2019 – Our Coming Action Packed Summer ! An Action Packed Summer of 2019 Is stretching out before you Wednesfield! I do hope that you will join with our Volunteers and help us where and when you can. Now how about this for an action-packed Summer here in Wednesfield North and Wednesfield. All of this program is aimed at making our community a better place to live and work and take fun. It is designed to improve our Local Economy. Increasing footfall in the local businesses across our community. 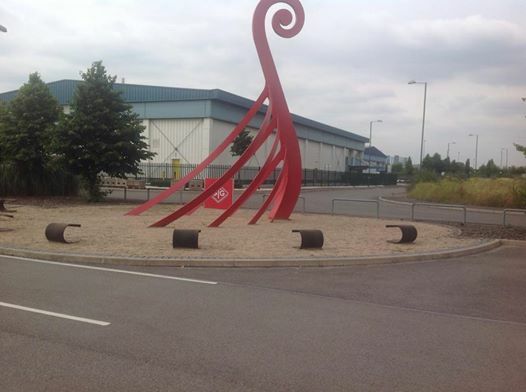 Making the place look good, and enhancing our environment. Wednesfield in Bloom- In 2018 Wednesfield was Gold Award winners and a winner in the Community Awards. We want to do the same if not get better recognition above last year’s success. This year Ashmore Park will be part of the integral arrangements for judging by the Heart of England Inspectors. We do not know the date of the Inspection yet. But it is likely to be taking place in the first week of July. If you are a keen gardener, love flowers and feel you want to help and contribute to the volunteers in making our part of the entry up here a winning one, please let me know. We had a meeting yesterday at the Ashma Café and I want to thank those volunteers that came along and offered to volunteer their services. It was good to hear that the Pet Shop and The Ashmore Hardware Store, are keen to be involved again, as is L&A Lettings. We will be encouraging all our shops to become involved in a small way. Placing flowers in their shop windows. Hanging baskets if appropriate, window dressing etc. I am currently looking for additional flower containers to be placed around the Shopping Parade. The Hub at Ashmore Park is in! and they will be looking at the way they can improve their front and back gardens. I want to see if the Ashmore Park Nursery School will do some work with flowers on their school frontage. I am also going to talk with the Medical Centre and hope that the Doctors will also come on board. Our brilliant Community interest Public House the Ashmore Inn always has a magnificent display of hanging baskets. Again, I am hopeful that the Gaffer Kevin, will allow his Public House to play a key role in the Ashmore Park entry. #Stuff4Steph! – Ashmore Park Fun Day Saturday 6th July 2019- This is a date for your diary! On the 6th of July we will be holding a #Stuff4Steph Funday here on Ashmore Park outside and including the Ashmore Park Shopping Parade. It is aimed at family fun and entertainment. It will be this event that will open a week of other community events and actions, and I and the volunteers from the Hub that are putting the programme together plan to have a #Stuff4Steph event taking place on everyday of this week. It should be good for all the shops and trading outlets on the Parade, it should be good for Families, and it will be good for our whole community. Please put the #Stuff4Steph date in your diary now! Wednesfield Canal Festival August 10th & 11th Bentley Bridge on the Wyrley & Essington Canal- This will be the fifth event of its kind that has been held here in Wednesfield. The program is brought to you by the Volunteers of ‘Hands on Wednesfield’. Last year even with poor weather more than 4,500 people turned out to enjoy the live music the stalls and the events. We are all aiming for it to be even better this year! Wednesfield North own #ShopLocal Campaign Saturday 17th August 2019- #ShopLocal is the brand that your three Councillors – Cllr Rita Potter Cllr Mary Bateman and myself Councillor Phil Bateman here in Wednesfield North have initiated and supported. We all believe in the need for vibrant local shops and stores, and we have a track record of support. #ShopLocal has put a focus on the shops and added much needed colour and pride into our community. In the run up to the 2017 designated #ShopLocal day – Councillor Mary Bateman was able to advocate the need for the Ashmore Park Shopping Parade to be given a lick of paint. As it was looking tired and a bit unloved. This was achieved, and with some crisp and bright painting the Ashmore Park Shopping Parade, and the shops and stores have been made to look – that bit more attractive. In 2018 the #ShopLocal campaign was about making residents more aware of the tough trading that is taking place in all the local neighbourhoods in Wednesfield North, where Local Stores exist. This time of the year when many Local Residents go on holiday is tough for Local shop keepers. As they often have to take account of less footfall. The economy is the key to peoples shopping habits, and of course people will look for bargains to match their purse. In 2018 I paid for Social Media advertising and the results show that this promotion reached 2891 persons. However, the organic reach of our #ShopLocal campaign also reached out and informed a further 1485 persons about the message and the needs of the campaign. So in total 4376 local people were made aware of what your Councillors in Wednesfield North were trying to do to support our own Wednesfield North traders. 2019 #ShopLocal will have a theme and a vision which will be announced later this year. I hope you agree with me that all these events will make Wednesfield ‘Rock’ it all takes hard work in organising, but the Summer will be brilliant! Watch out for further information. This entry was posted in History and Heritage, News Page on 1st February 2019 by Phil Bateman. The Ann Wood Book of Condolences. Yesterday we laid our dear friend Ann Wood to rest. Ann was a powerhouse behind the work that takes place at the Ashmore Park Community Association. The Community Association is based at The Hub at Ashmore Park. Ann’s funeral at St Thomas’s Church then The Bushbury Crematorium was a well-attended affair.There were relatives and friends and colleagues from all parts of Ann’s full life represented. 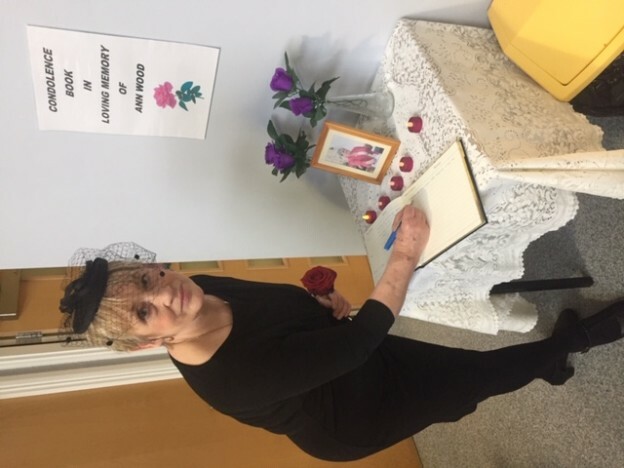 The reason for this note is that ‘The Book of Condolences’ that was opened at The Hub at Ashmore Park, after her friends and colleagues learnt of her passing, is still open for a few more days, before it will be closed. It is not to late yet for you to come to the Hub where you can still leave a message for Ann’s family in The Book of Condolences. Here Councillor Rita Potter has added her message, to the many which already populates this book of friends and memories. This entry was posted in History and Heritage on 21st December 2018 by Phil Bateman. Later this morning at St Thomas’s Church Wednesfield at 10.30 am Mary, Rita and I will be attending the funeral service of Patricia Ann Wood. Ann was the effervescent Chair of Ashmore Park Community Association. We will be deep in sorrow and respect. It will be a tough day for everyone that knew her….But friends will I am sure,have that little space in their heart for husband Derek and the loving family that will be struggling with their emotions this morning. I am sure Wednesfield will be joining together with all of us to pray for Ann and her marvellous family. This entry was posted in History and Heritage on 20th December 2018 by Phil Bateman. 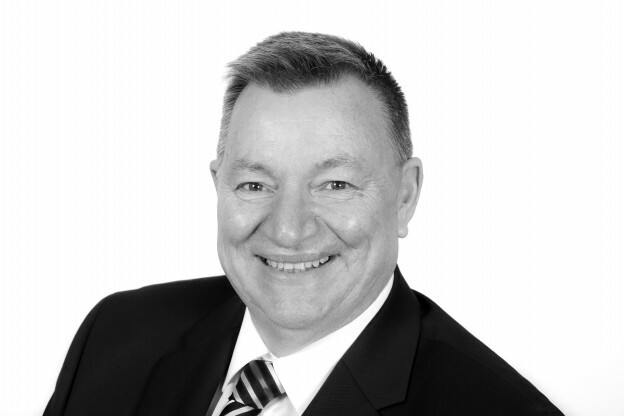 Welcome Martin J Cooper -Ashmore Park Walk of Stars. Today we welcome and admit into the ‘Ashmore Park Walk of Stars ‘ Martin John Cooper who lived in Kitchen Lane, he attended Wednesfield Grammar School and went onto work in a Building Society. Martin was recommended for Ashmore Park Walk of Stars by Bill Parry a long time resident. I want to thank Bill for providing the supporting evidence. Martin was an England International and played Rugby Union for Club side Moseley. He played for the school and for Wolverhampton . 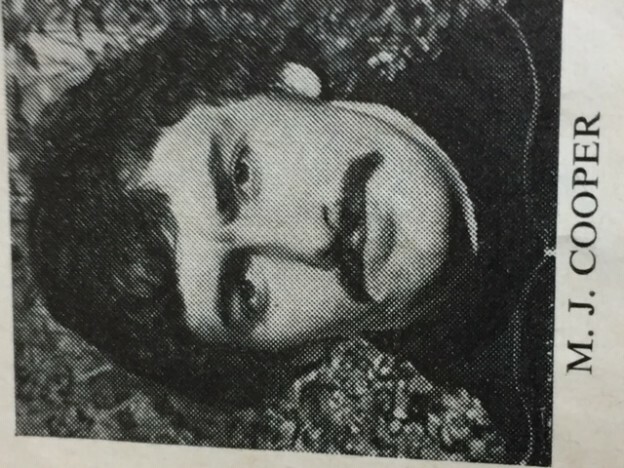 He won his first international cap against France in 1973. England won that game 14-6. In total Martin won 11 caps for England between 1973 and 1977. This entry was posted in Ashmore Park Walk of Stars, History and Heritage on 16th December 2018 by Phil Bateman. 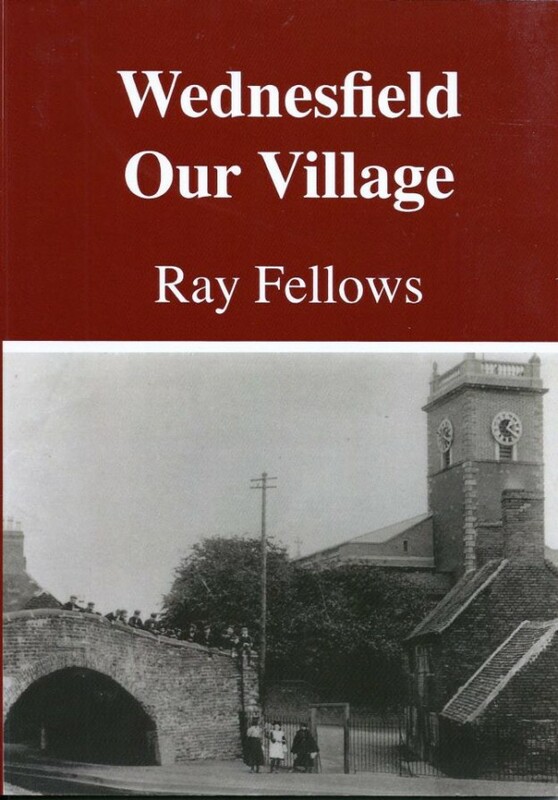 Wednesfield History Society Moves to Lift Our Knowledge! As we move to the start of the new year I thought it would be a good thing to inform residents that in this years Wolverhampton Literature Festival which will take place in February 2019. 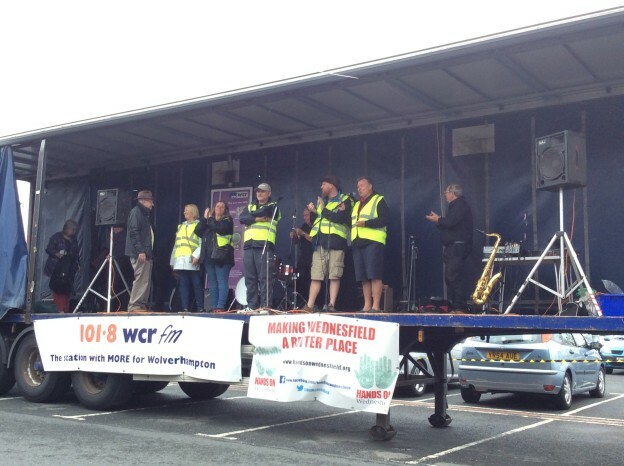 Wednesfield History Society will be playing its part in the Festival. The Society will be giving a talk on ‘The Evolution of Wednesfield from the 1950’s to the modern day. This will be held at Wednesfield Library. The History Society are also involved in a particularly interesting piece of work around the recording of the oral history of Wednesfield. After it won funding from a National Lottery grant of £8,800 for this exciting oral history project – Preserving and Sharing Wednesfield’s Heritage. 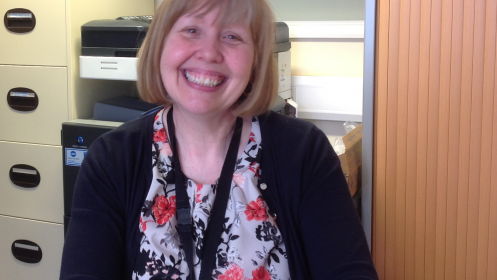 The project will explore the life experiences of people who have lived in Wednesfield over the whole, or part of, the past 80 to 90 years The oral histories will be recorded and kept and stored for many years for future generations in Wednesfield Library. This entry was posted in History and Heritage on 16th December 2018 by Phil Bateman. Pride and Passion As Wolverhampton Unveils New First World War Memorial. As Wednesfield North Councillor’s – We know that this initiative will be very popular with families that live in Wednesfield and Wolverhampton. 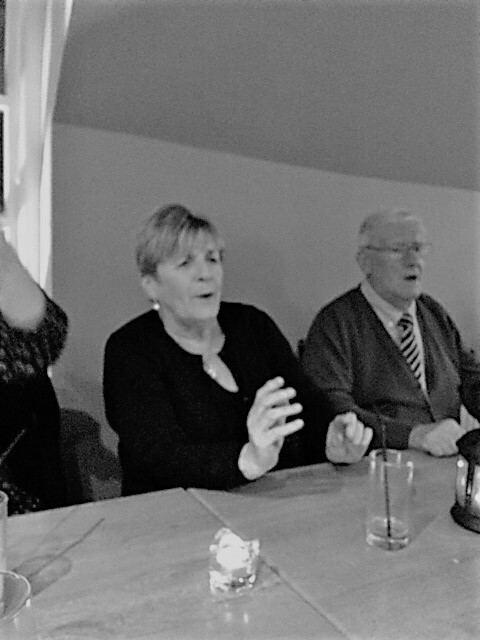 Councillors Rita Potter, Mary Bateman, and Phil Bateman were delighted to read on the City of Wolverhampton’s Managing Director’s Councillors Briefing Note. It detailed, this very important and historic project. 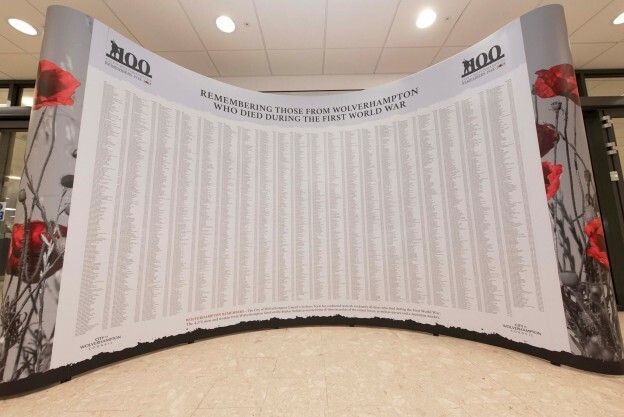 Managing Director Mr Tim Johnson said “A new roll of honour featuring the names of 4,272 men and women from the City of Wolverhampton who died during the First World War has gone on public display in the foyer of the Civic Centre. The memorial has been created as part of our programme of activities to mark the centenary of the end of the conflict. Well I for one am very happy that this project has been undertaken. I am sure it will bring much pride to many Wolverhampton families who will now be able to cast their eyes on a friend or family member, that had previously gone through the decades without any public recognition. Well done Wolverhampton, a great project and well done the people behind the incredible research and hard work it must have taken to deliver a memorial of this nature. This entry was posted in History and Heritage on 2nd November 2018 by Phil Bateman. Ashmore Park Walk of Stars – New Entrant To Be Unveiled Soon! Councillor Phil Bateman said “I am close to announcing yet another very worthy and talented International and National Musician to our Ashmore Park ‘Walk of Stars’ . He will be the very first Rock Musician to be included in the list. The Ashmore Park Walk of Stars is all about inspiring young people and others to cast their ambitions wide! Talented individuals really do exist and my job here is to expose them so that we can all admire their great talents, and hopefully they will inspire others to strive to produce and deliver the extraordinary talents that we all have. Here on this very ordinary housing estate in Wednesfield we are always uncovering individuals that make it to the top of their particular profession. Those that make it onto our Ashmore Park Walk of Stars have very strong links either through living here, or working on the estate, or attending school. This entry was posted in Ashmore Park Walk of Stars, History and Heritage on 20th August 2018 by Phil Bateman. 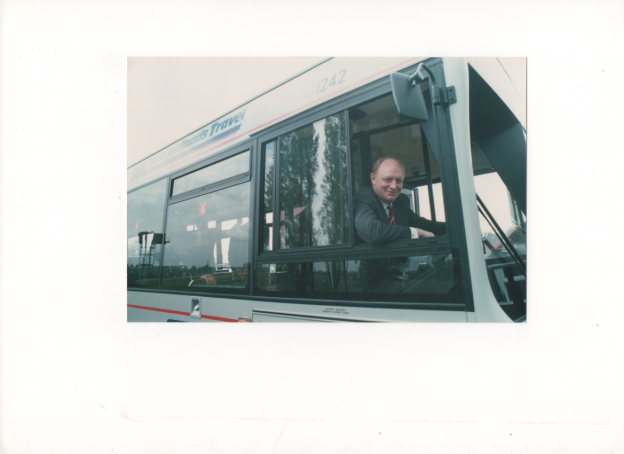 Looking back in time- Here I think we were at Perry Barr we had Leader of the Opposition and Labour Party Leader Neil Kinnock MP visit. 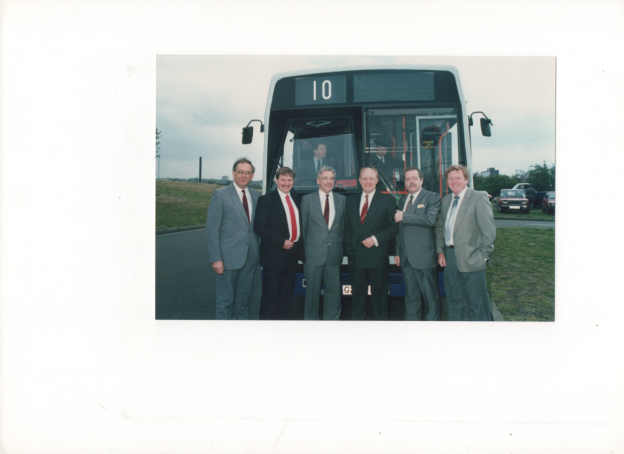 Neil was always interested in what Labour was doing on public transport here in the West Midlands County. We had frequent high powered visitors. Peter Snape MP for West Bromwich East was also present with the Chief Officers of the West Midlands Passenger Transport Executive. This entry was posted in History and Heritage on 18th July 2018 by Phil Bateman. Looking Back at Transport History- Leader Neil Takes the Wheel! Here we see Neil Kinnock MP – Leader of the Labour Party. Neil was always very supportive of what we were doing here in the West Midlands he was a frequent visitor. I enjoyed his company and I had a really interesting time talking to him about transport policy. Here he looks like he could take the bus into service! Sadly he never quite made it to Prime Minister…. This entry was posted in History and Heritage on 17th July 2018 by Phil Bateman.